"A place for everything, and everything in its place. 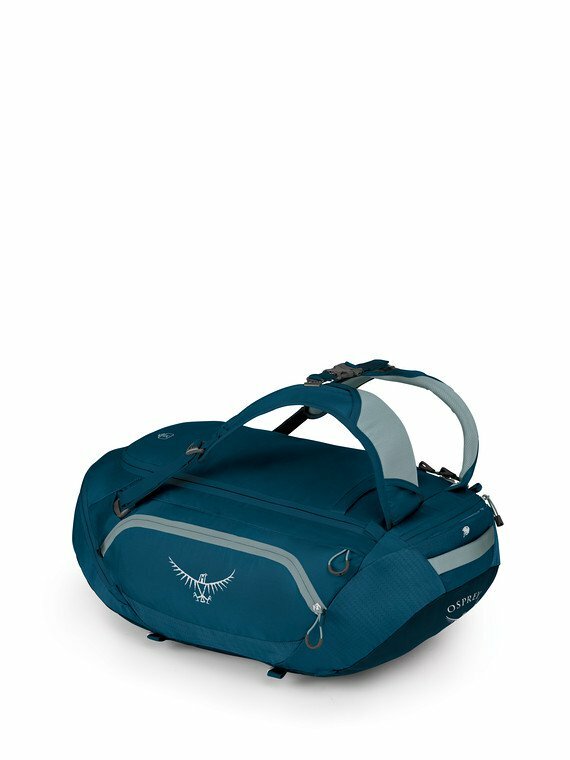 The TrailKit is perfect for runners, cyclists and anyone who needs a duffel with added organization so you can spend less time searching for your chamois cream and more time in the saddle. Just finished a muddy run? Great, there's a dedicated pocket for your filthy shoes to keep your gear fresh and clean. Flying somewhere to ride the trail of your dreams? Deploy the padded harness and toss the bag on your back as you stroll through the terminal. Rugged like a duffel, carries like a backpack and organized to match your lifestyle, these bags serve as grab-and-go base camps for any activity, anywhere. More fun, less mess. You don�t have to be a triathlete to recognize that transitions take time away from your activities. These packs allow you to pack everything in an organized logical fashion for quick access so that you can get back to having fun. +Zippered side compartment with water bottle carry/webbing straps for attaching accessories "